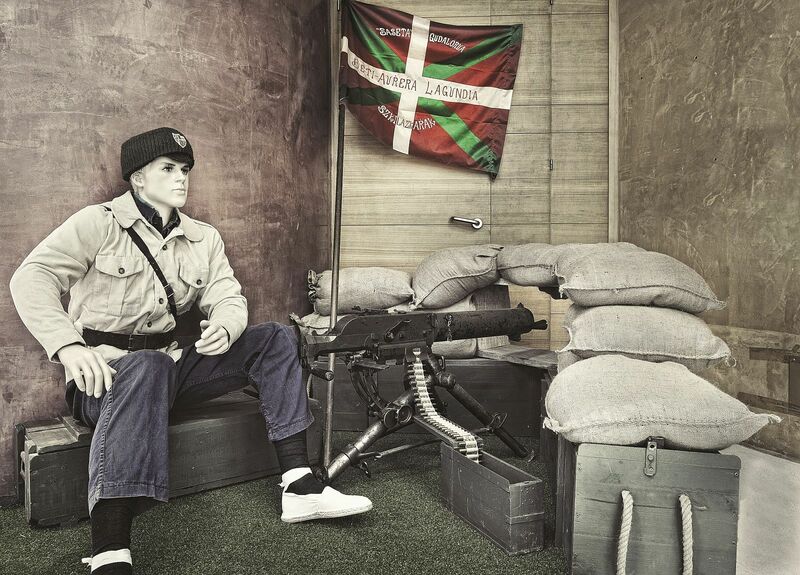 Our exhibition has displays of all kinds, from personal belongings to clothing, letters, coins, contemporary newspapers, postes, flags and an example of the full kit used by the fighters. Simon Otxandategi Etorbidea, 64 (48640 Berango). Monday to Friday: from 12 p.m. to 2 p.m. and from 5 p.m. to 8 p.m.
Saturday: from 11 a.m. to 1 p.m. and from 5 p.m. to 7 p.m.
Sunday: from 11 a.m. to 1 pm.